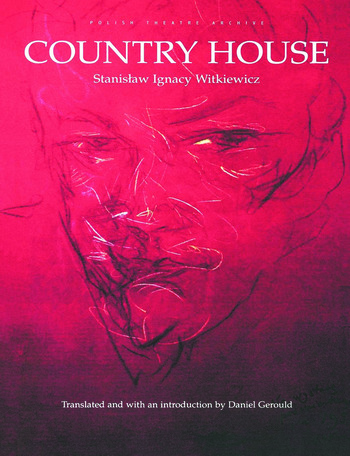 Country House, a ''comedy with corpses,'' is a wicked subversion of all those realistic psychological dramas of jealousy, adultery, murder and suicide that ask to be taken seriously. Witkacy's send-up assumes the form of a ghost story full of surprises, in the course of which an entire family of four is gleefully dispatched to the other world. When it was first performed in 1923 in Torun, Country House was judged unsuitable for the general public because it derided moral, social and dramatic convention. Three years later, as directed by the playwright himself in Lwów, the drama proved an unexpected success with audiences (although it only ran for four nights) and ever since has been among Witkacy's most frequently performed works. Today we can appreciate Country House not only as a systematic demolition of stage realism, but also as an anxious probing of the elusive boundaries between life and death, exposing the ''dark places'' of the human psyche that make us laugh nervously.